iPad provides movie info and popular quotes, just in time for the awards events! As we hang out at the water cooler… literally, everyone loves to throw a line in here and there from popular movies. Say one and someone else adds to it. We hear it isn’t just IT folks that quote fun lines from movies, but most likely it is different movies being quoted depending on which department. 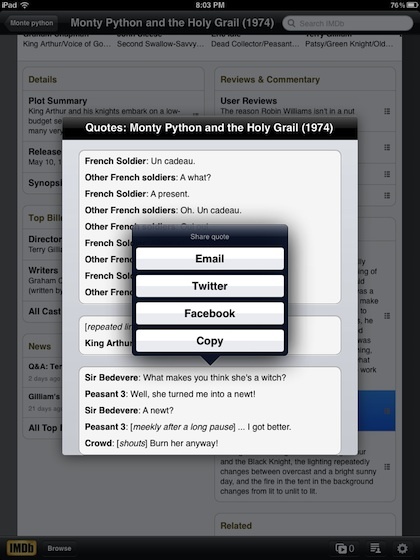 The IMDb app for the iPad and iPhone was just updated to help with those quote needs. 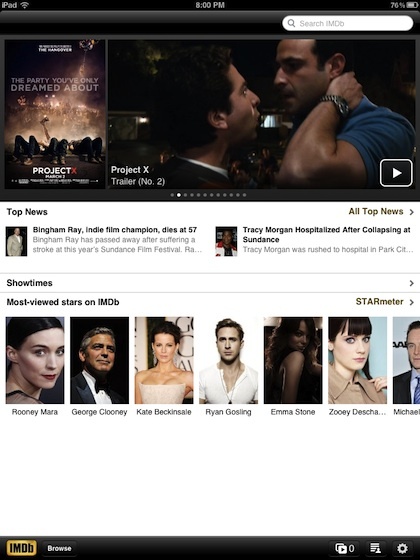 The universal app opens right to the latest movie trailers and quick access to the big stars. Available ‘latest news’ and reviews is also quick to get to so you know what is being said in the industry. 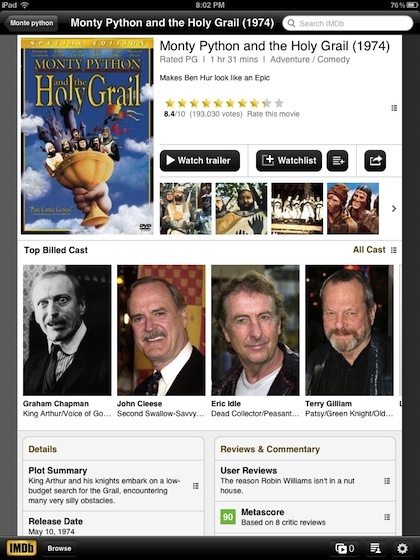 Using the search box in the upper right corner, the IMDb app takes you right to full details of a particular movie, TV show and actor careers. When viewing a movie, you can drill down to particular actors in the movie and the details about the story line too. Scroll down the down the screen a bit to where there is Goofs and Quotes from the movie. Tap either to see more detail. When you find one, tap to share as needed directly from the IMDb app. Or, just memorize for the next visit to the cooler.